While certainly a counter-trend, catch-a-falling-knife trade, JO (coffee ETN) will be added as a long swing trade here at around the 16.48 level while at the bottom of this small falling wedge (white downtrend line) within the much larger falling wedge pattern. 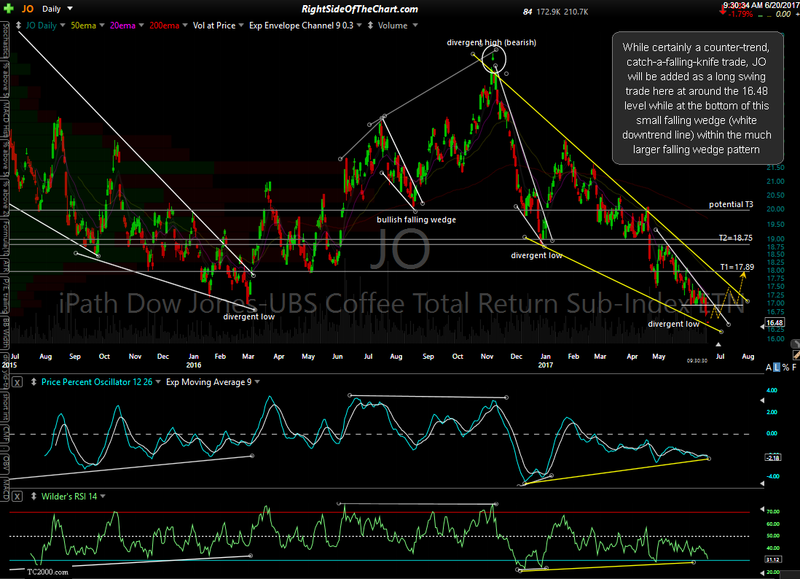 While the daily chart of JO below shows some nearby resistance levels where reactions are likely, which could be used as early price targets, the official targets for this trade are T1 at 17.89 & T2 at 18.75. A third target around the 20 area might be added, depending on how the charts develop going forward. 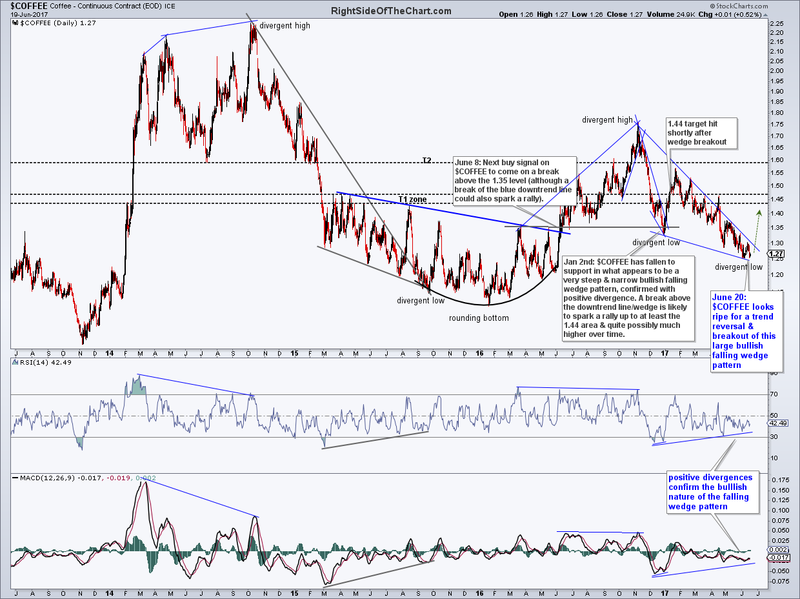 The suggested stop will be on any move below 15.90 with a suggested beta-adjustment of 1.0. Also note that the price targets are subject to revision based on the chart of $COFFEE (coffee futures continuous contract). For those interested in adding exposure to the JO but not comfortable with going long a position in a confirmed downtrend, one could either wait for a break above that minor (white) downtrend line & the minor price resistance around 17.00 (both of which should roughly intersect if JO reverses soon) or take a partial position here, adding only if & when JO takes that downtrend line & the 17.00 level out.